With the arrival of SharePoint 2016 approaching quickly, and the push for Office 365, many are considering making the move to the new version of SharePoint. For this reason, I thought I'd go over several reasons that could have caused your SharePoint 2013 migration to fail, so you don't make the same mistakes when migrating to the new SharePoint 2016. If I've left any out, feel free to keep the list going via the comments section. 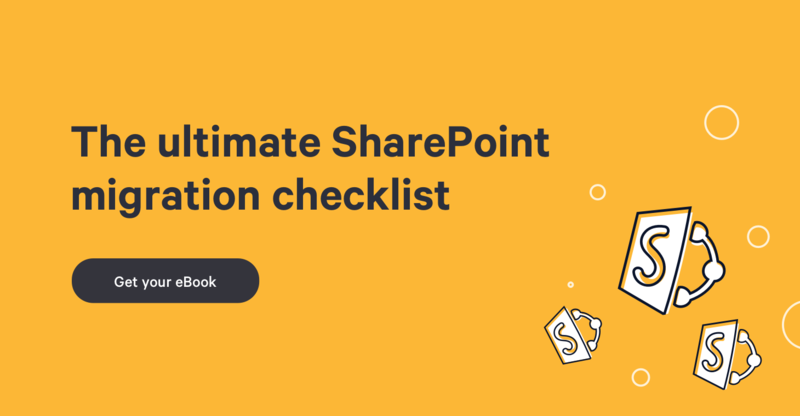 If you're planning on upgrading the platform that does so much in so many verticals, you need to know how SharePoint works, and what it needs to work. If this is not you, then assemble a team that does. A successful migration to SharePoint 2013 depends on this. I've put a collection of my articles, series, videos and much more together, by category, so you can fast track you're learning of SharePoint. Definitely where you should start. I was lucky enough to work in a training center, as an MCT (Microsoft Certified Trainer), for 5 years. This led to a greater appreciation for training than I originally had. Unfortunately, there are many who think training their users is optional. Shocking isn't it? Without proper training, users will not understand the new application, or how to use it. But training goes further than making sure End Users know how to use the application. It also serves to help them adopt the new SharePoint platform. Through training, the organization can help Power Users and End Users alike understand the reason for the adoption of this new platform. Without training, you are ensuring a struggle between the person using SharePoint, and what they are trying to do. Think about it the same way you're currently reading this article to gain potential insights, as well as any other articles you may be looking at. It's a form of training, and it's just as valuable for those that have to use it day in and day out. See how to implement SharePoint Training and a User Agreement to make sure they followed it. This one is a big one that can easily be fixed. If there is one thing people hate, in general, it's change. They're afraid of what they do not know. By bringing change to your organization, you are already the "bad guy". Thus, if you do not ease this change in where you work, your new SharePoint implementation will have a very difficult start. Even if they have experience with SharePoint, they just want to do their job and go home. If they come to work one day with a new SharePoint 2016 interface, features, not knowing what happened, they will feel like you added more work for them. They now have to search to do the things they used to do and had a routine for. Most won't even see any advantages in the migration to the new SharePoint. All they'll see is "Those IT guys changed it again for no good reason". By providing a constant stream of information on the upcoming migration, you can help them accept, and even adopt, the new version. People are not stupid. If you can show them the new features, tell them when they are coming and why they need them, they will invite the change. After some research on migration to SharePoint 2013, you may have landed on my post about the supported SharePoint Migration scenarios. There, I mention that Microsoft only supports database attach as an upgrade scenario. This means taking the old content database and bringing it over to the new environment. Another new feature of SharePoint 2013 was to run a Site Collection in 2010 compatibility mode, which was also covered in the same article. The mistake would be to think that this would solve all your problems, just like magic. There is no magic here, taking the Content Database and bringing it over to 2013 would definitely work, but is not a turnkey solution. Unless your old environment is perfect and has been well split into multiple databases. Chances are, you have few content databases with a mash-up of Site Collections in there. By default, all site collections in a Web Application are stored in the same database. Taking this and bringing it over to SharePoint 2013 is not necessarily the best thing. Though, in some cases, it will make perfect sense, in many others it will be like bringing the old chaos into a new interface. Custom code will probably not work anymore either. Take the time to migrate only the content you want. Because, if you don't take the time during this process to clean up the old, you won't do it after either. You will then be stuck managing the same chaos in the new version. So you had finally gotten SharePoint 2013, and all of its new features. Social revamped, new community sites, search leading the way with continuous crawl, and so many others. It's time to upgrade, and what did you do? You took the old databases and plugged them into the new environment. Enough had changed in the new version to completely rethink your architecture, all the way up to your web applications even. 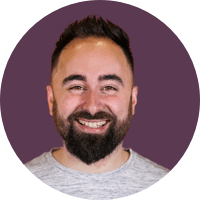 For example, the new Content Search Web Part combined with Continuous Crawl lifted some of the old barriers we had when building our Site Collections. Making a new architecture means both the physical and logical architecture. Your servers will not be doing the same thing anymore. And the way you had set up your Site Collections before, might not be necessary anymore. Check out my introduction to SharePoint 2013 to see some of the new features that may have an impact on your architecture. This one can be relatively easy or complicated. There are many factors that could make your SharePoint site not work after you upgrade. I covered most of them in “what might not work so well after you upgrade” but there are ways to identify these problematic sites before. First, you should make sure you always have an inventory of all your SharePoint sites. You can easily export all of them using PowerShell, into a CSV file, that you can then import into either Excel or Visio - it really depends how you like to see your inventory. Luckily, there is a Health Check you can run, before you migrate, to see which Site Collections could potentially have issues migrating. This is all available out of the box for us to use, so there is no good reason to skip this in your migration. Governance has become a buzzword around SharePoint, but there is a reason for that. You need to have a governance plan. It's important. However, it can be a lot simpler than some make it out to be. I already gave some tools and techniques to create a simple Governance plan, so we won't cover the details again here. Planning your migration can also be as trivial as setting up some milestones and objectives to consider it successful. Simply using your SharePoint Site inventory and marking sites to be removed, upgraded, or rebuilt can make a huge difference. You jumped ahead and did the entire migration, now the entire organization was running SharePoint 2013. So what? How is it better? Where did you increase productivity, and how is it helping the organization increase its bottom line? I see this very often when the Geeks are in charge of this process. I say this because I, myself, belonged in this category for some time...always wanting the shiny new toy. You need to set some measurable goals for this new SharePoint implementation. If you're going to migrate, you need to know why and how you are achieving it. Analytics, in this case, are your best friend. See what's new at a high level with SharePoint Analytics. This is a touchy subject amongst a few. Some will argue functionality is the only thing you need to move forward. While others will argue that branding, and a good user experience, is crucial for user adoption. Someone once said "The prettiest picture wins the funding", and I think it stuck with me. In almost all cases, migration or not, nobody wants to work on an ugly, hardly usable SharePoint Intranet. If you leave SharePoint as it is, and just stick your logo on it, it still does't give the user a sense of ownership or belonging. My test is easy; I ask, "Would you show me your SharePoint site? Would you be ashamed or proud to show it?" I'm not saying your migration will fail if you don't brand SharePoint 2016, but you can bet users will be keen to pick up a brand new, good-looking SharePoint site...and keep using it every morning. Yes, these tools cost money. But, in many cases, will end up saving you the cost, and then some, in time spent to try to migrate at a granular level. If you only want to bring over specific sites or libraries from within a select number of Site Collections, then it might be easier to use an existing solution for it. Third-party migration tools, like Sharegate can be incredibly effective and cost-saving solutions. There are many factors that have driven a migration to SharePoint 2013 to its failure. I'm curious to hear your experiences with these kinds of upgrades. SharePoint 2013 New Features: Should You Move?